Maybe you had a “bad day” recently that was stressful and chaotic? Let the “stressful” feelings from those thoughts sit with you for a moment. So, keeping your eyes open, just breathe in and out, feel every breath that comes into your nostrils and goes out through your mouth. Free your mind of any worries and just let yourself go. Do this for about three times. Everything is perfect and the problem is solved. Do you feel a “shift” in your body? Tension release? Calmer and lighter? Welcome to the world of self hypnosis! In a nutshell, self hypnosis or autosuggestion is a type of hypnotism that can be performed by an individual to him or herself. Self hypnosis makes use of relaxation techniques that helps you have inner-self focus while aiming for a goal. Self hypnosis is often used as an instrument for change in one’s behavior such as smoking, alcoholism, drugs and weight control. To do it, you relax having a goal in mind, and focus your mind to it. While this exercise may have oversimplified it, there are certain steps to follow when diving into the different types of hypnosis, especially self hypnosis. One of the first steps is to take a self hypnosis test to see if you are a good candidate for self hypnosis. If you find you're not well suited for self hypnosis, don't worry. Just add it to your personal development plan and start making the changes to be able to do it. Another step is to determine which of the self hypnosis methods works best for you. There are some that are as easy as pressing a button. You'll also need a good induction, which is the process that puts you down into the hypnotic state. A quick induction is a good way to start. Many people claim that self hypnosis is safe, economical and is beneficial to the one using it. Let’s briefly look at the pros and cons about doing it alone versus using the guidance of an expert. It can be practiced with consistency, which is key to success. It allows highest level of privacy. It can cost a lot in the long run if your goals aren't met. It can be a waste of time if not done effectively. Causes discouragement if results aren't forthcoming. Causes frustration and confusion about how to do it alone. One thing to consider when doing self hypnosis alone is “self determination.” If you're determined enough, you can do anything, even if it's not “exactly” the way it should be done. However, it would be a good idea to get proper self hypnosis instruction from a good self hypnosis program. Is self hypnosis dangerous? Yes and no. Yes, if you don't know how to write affirmations correctly, you could be programming yourself with exactly the opposite of what you want. Relax your mind and body. And be sure to check out my self hypnosis program that helps you find your core beliefs that are operating in the background which are running all of your behaviors and then write affirmations correctly which you plug into my "10 Steps to a New You" self hypnosis method. It also includes customized brainwave meditations just for the 10-Step Process. Self Hypnosis Methods: What Are They? Do They Work? 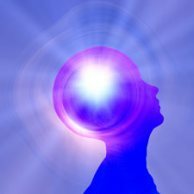 Types of Hypnosis: Is One Type Better Than Another?